The speakers before me have already brought out the importance of L&D in the overall scheme of things. They have also discussed a number of conceptual aspects related with the topic. My attempt will be to share some practical aspects about how we really can be seen as the “Engine Room” by others, by business lines, and most importantly by the CFO and his/her team. UST Global is an IT services company serving the IT needs of Fortune 1000 clients. As an IT services company, the only asset we have are the people and their talent. Our revenues, our profitability, our growth, our customer satisfaction etc are all intrinsically linked to the skills of our people. So to be seen as the Engine room, the L&D function need to demonstrate our capability to be relevant to the Talent Supply cycle. We certainly do this through all the conventional means of supporting onboarding, doing the induction training, upskilling the existing workforce, focusing on Leadership development etc. What I want to do here in the limited time that I have is to highlight some of the innovative and different ways by which we help the Talent Pipeline for our organisation. Most of the IT services organisations work on an off shore, on-site ratio to ensure proper client connect as well as profitability. When it comes to onsite resources, the dependency is more on assignees going from India, primarily due to talent availability and cost considerations. So we asked ourselves, is there a different way of doing it? Are there different target audiences that we can tap into? Can we design and roll out a very innovative program that is not the ordinary? We decided to break the paradigm and decided to develop competitively priced resources using training as an option. We came up with a program called Step it up America, aimed at converting significant number of minority, inner city women who had no technical qualifications or technology background, into technically qualified, responsible corporate citizens. 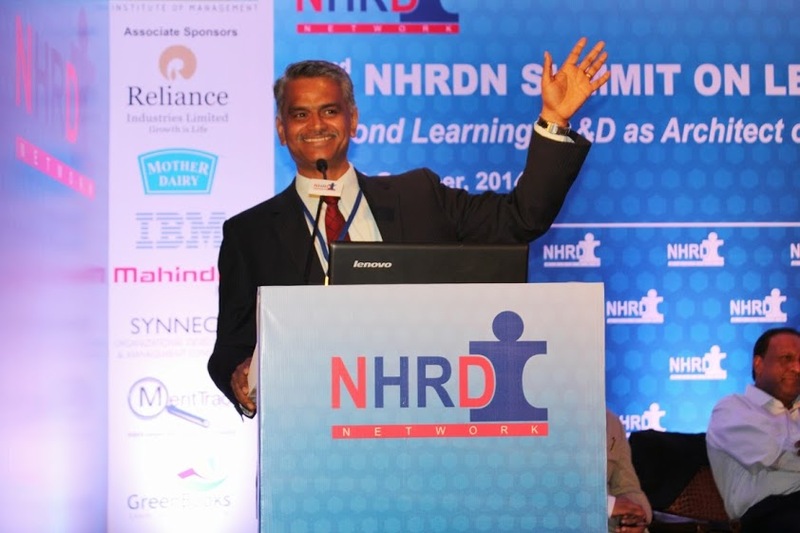 This was a major challenge for the L&D function, because the demography of the candidates were entirely different from any that we had dealt with in the past, we had to integrate various ways to quicken the learning curve, through innovative design of the program. This program became hugely successful in all aspects. From a Social Impact point of view it caught the attention of the Obama administration itself with the Vice President Joe Biden visiting our classes. Mayors and Governors of many cities and states in the US are involved in, and want the program to be launched in their cities and states. The program also attracted the attention of corporate America and we have been able to get significant number of new client opportunities because of this program. War for talent is a well-known phenomenon for IT companies. On one hand while there is a mushrooming of training institutions that churn out IT savvy graduates, their employability is not that great. Hence the poaching starts, where one company will go and hire someone with a specific skill from another company, and vice versa. So we asked ourselves, how L&D can help in this area. We initiated an organisation wide change management that drove the concept of looking at Training as the first choice for resource fulfillment. This involved the L&D organisation working closely with the Resource Management Group, identifying future needs, cross skilling folks in advance and meeting those resource requirements through internally trained people. This also involved us going to the campuses, and staying engaged with the selected candidates (after campus selection) to utilize their “waiting period” to train them using technology, on technology, so that their deployment time was drastically cut down once they finally joined the organisation. These two measures heled us to meet significant resource requests through training, with the tangible benefits of direct cost savings and the indirect benefits of employee engagement. At the leadership level, we decided to focus on the revenue impacting roles. We designed and rolled out programs intrinsically linked to revenue generation. We instituted and measured the business impact of such program through revenue measures. All this was done on the foundations of our values and mission. However, what made the difference was the fact that we significantly enhanced our relevance to the business. Suddenly the term “Strategic Partner” became more than a cliché.